Cass Herrington will be reading a couple of essays at our next show. 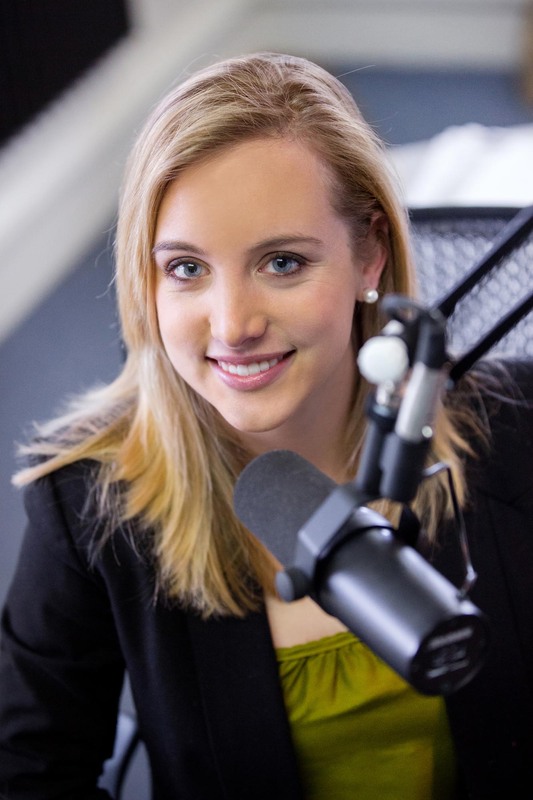 She is an award-winning radio reporter and hosts All Things Considered and The Trend, WNIN’s weekly community journalism program. She also covers local news and culture for the station. Oh, and by the way, she’s an awesome writer. 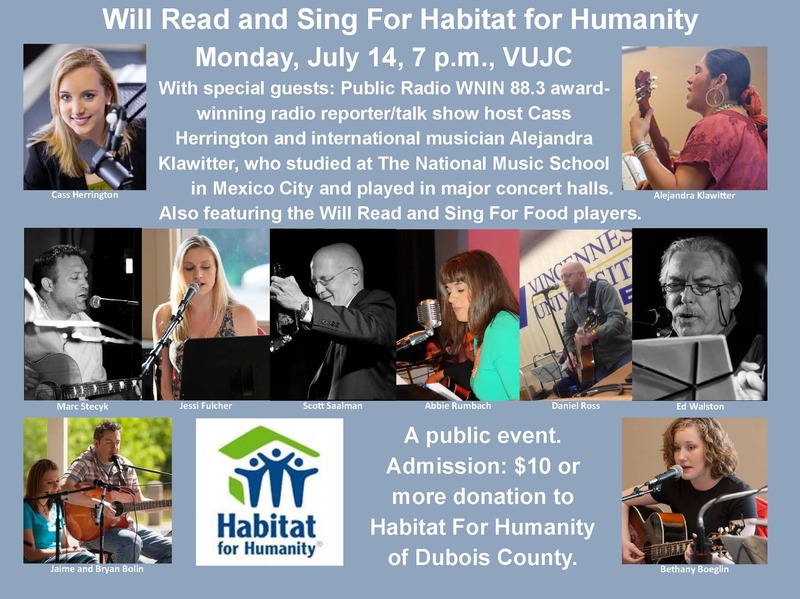 The Will Read and Sing For Food players will perform a benefit show for Habitat For Humanity of Dubois County Monday, July 14, 7 p.m., at Vincennes University Jasper Campus (VUJC). Will Read and Sing For Food is a unique mix of humor essays and live music. To date, the group has raised, through the generosity of its audiences, $28,241 since Oct. 2011. This will be their 49th performance. Scheduled humor essayists and musicians are Scott Saalman, Abbie Rumbach, Ed Walston, Marc Steczyk, Bethany Boeglin, Brian and Jamie Bolin, Daniel Ross, Jessi Fulcher, Alejandra Klawitter, and special guest Cass Herrington (WNIN). Herrington, an award-winning radio reporter, hosts All Things Considered and The Trend, WNIN’s weekly community journalism program. She also covers local news and culture for the station. Habitat for Humanity of Dubois County was started in 1995 as an extension of Habitat for Humanity International. It is a non-profit Christian housing ministry that mobilizes funds, materials, and volunteer labor to construct houses in partnership with low-income families. The show will be held in VUJC’s new Center for Technology, Innovation & Manufacturing.